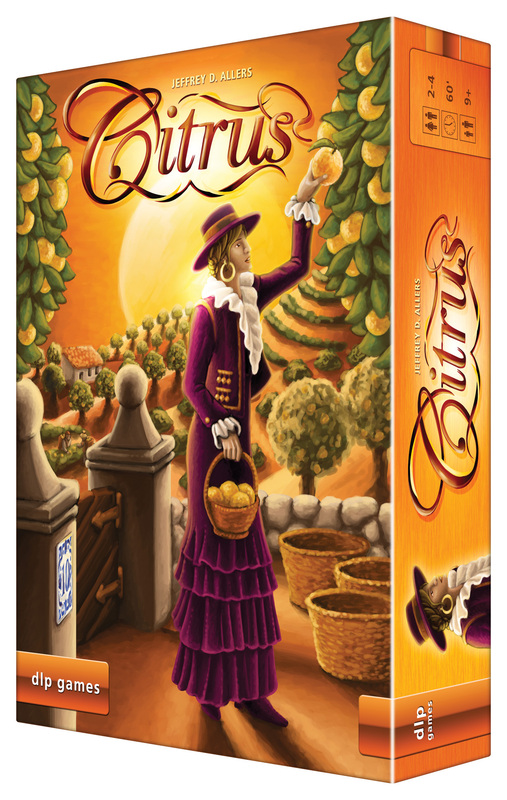 Citrus is a eurogame by Jeffrey D Allers who has created some great games such as Alea Iacta Est and Sahne (Piece o’Cake). 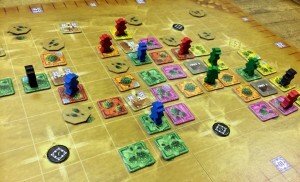 During the game, players buy and place different fruit plantations (coloured tiles) in order to build groups of plantation tiles. The main board shows farming land (grid) with several fincas (buildings) and locations where fincas will be built later. Each turn, a player can either Build or Harvest. When a player builds, they buy plantation tiles from the market board, which is an odd-shaped grid, and pay 1 coin per tile. However, the player must (a) buy all the tiles in a single row on the market grid and (b) must be able to place all the tiles they buy (as players can’t hold onto tiles in between turns). As soon as the market is left with 3 or fewer tiles on it, it is re-filled and a new finca is added. (The player that triggered this chooses on which of the 4 building sites the new finca is placed and a new building site is added to the remaining ones). Citrus is a new game by Jeffrey D Allers who has created some great games such as Alea Iacta Est and Sahne (Piece o’Cake), as well as the forthcoming Artifact which is being released this Spiel too. 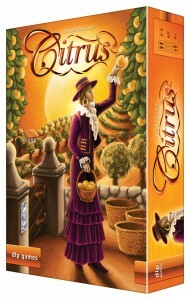 Citrus is a eurogame where players are growing fruit plantations. In the middle of the table is the main board showing farming land (grid) with several building sites and fincas. 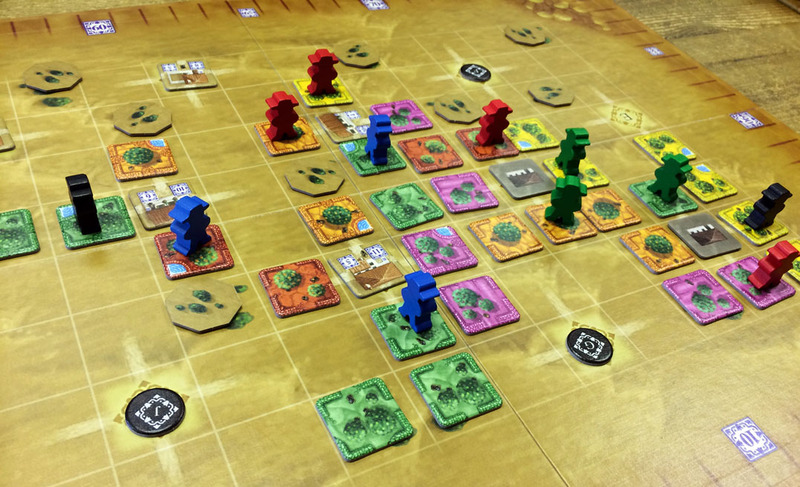 During the game, players place plantations of different fruits (tiles) onto the board to grow their own groups of matching tiles. Each turn, a player can either Build or Harvest. When a player builds, they buy plantation tiles from the market (which is an odd-shaped grid) and pays 1 coin per tile; however, they must buy all the tiles in a single row on the market grid and they must be able to place all the tiles they buy onto the board too. Players can not hold onto tiles in between turns.